2002: Was script editor for a documentary, Property of the State for producer Jill Kruger. Documentary premiered on National Television in South Africa in March 2003. 2003: The screenplay of A Matter of Time was optioned by Distant Eye Films in the United Kingdom, 2003, and was in development with director, Bruce Burgess of Blue Book Films as White Lies for 2003/4. It is now called No Going Back and is in development with Distant Eye Films with Jan Dunn as director. 2003: Worked in Johannesburg as Online Website Editor for Big Brother Africa for M-Net, from May to September 2003. 2003/4: Edited educational video scripts for Sisani/Kagiso TV for Memar’s Ethiopian educational project. 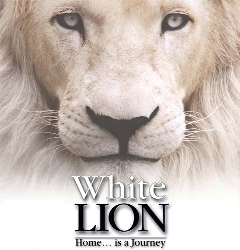 2005: Wrote the script for the feature length documentary by Nationwide Productions called White Lion, and which is currently being filmed. A rough cut of this film went to Cannes in 2006. 2006: Developed a first draft documentary script for Jill Kruger Productions called Father Inside, based on the character written about in Jonny Steinberg’s award winning book, The Number. 2007: Wrote short film, The Red Shoes, for Faith Creations, in Cape Town. Submitted to the National Film and Video Foundtion’s Women Helmers competition, 2007, with director Diana Keam. 2007: Have put together proposals for SABC based on three of my plays for 1 hour drama series as well as sitcoms with production company editcafe in Cape Town. Awaiting outcome. 2007: Writing epic feature length film called Skeleton Coast for Snakes and Ladders Production Company in Cape Town. 2007: Am producing the feature film which I wrote about my brother’s death on the border, A Shot at the Big Time, trying to raise funds with my own production company, Just Do It Productions. 2007/8: reworked the script for White Lion in the edit suite. Co-writer brought in. 2009: Signed a co-production deal with Terry Vallet of Moviworld, the producers of Tsotsi, to produce my film A Shot at the Big Time. 2010: White Lion was released internationally around the world. 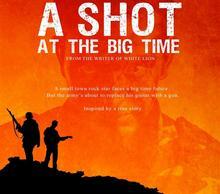 2013: A Shot at the Big Time premiered at the Durban International Film Festival in July.